a special one for you..
you many happy birthdays more. 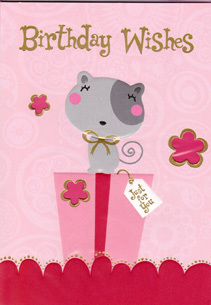 A beautiful and bright pink cute design open embossed birthday card featuring gold metallic detail in wording and design. Features bright coloured pages inside with the same all over inside.